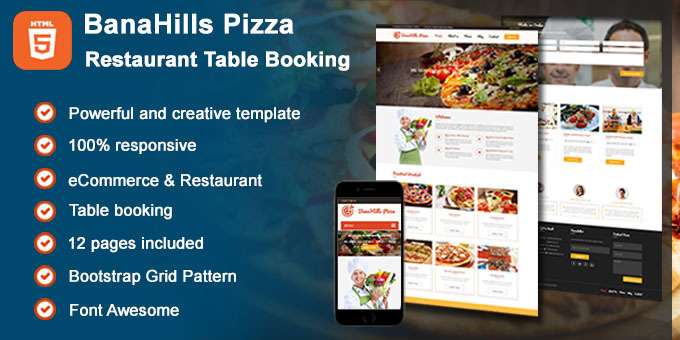 BanaHills Pizza is a template that contains 12 pages. Built by Bootstrap 3, compatible with all screen sizes. A modern style and attractive to attract customers, with all the necessary features for an ecommerce site, your business will become easier than ever. If you own a pizza shop then this is a great option. It is also very simple to edit in accordance with other business types. Featured functions which we would like to introduce to you the function is possible in the restaurant, when customers do not have the time directly to the restaurant can still choose the seats fit and proper time. A website with interactive model of perfect, very convenient for your customers and your business. It is great to introduce your business as well as increase sales. A lightweight version of html, we will try to develop a CMS version like Joomla Virtuemart, Wordpress WooCommerce in future to fit your requirements more. 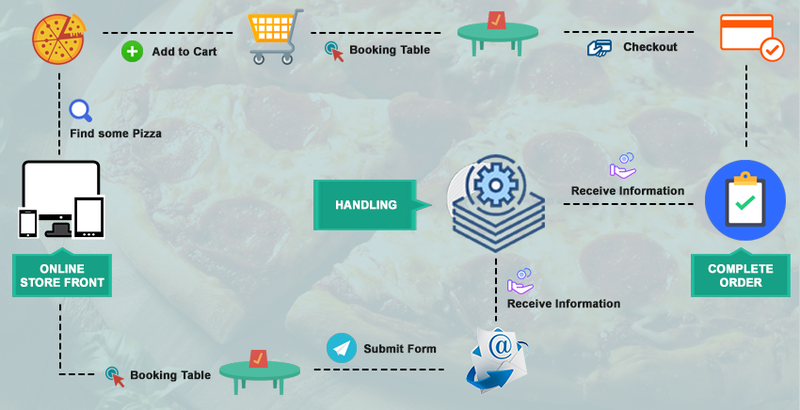 Home page (Introduction overview of the website restaurant offering pizzas, including products, news, customer reviews, contact form etc). About Us page (Introduction to business and staffs). Menu page (List the product list and filter by category, size, price). Product Detail page (Product details, images, attribute, add to cart, book a table etc). 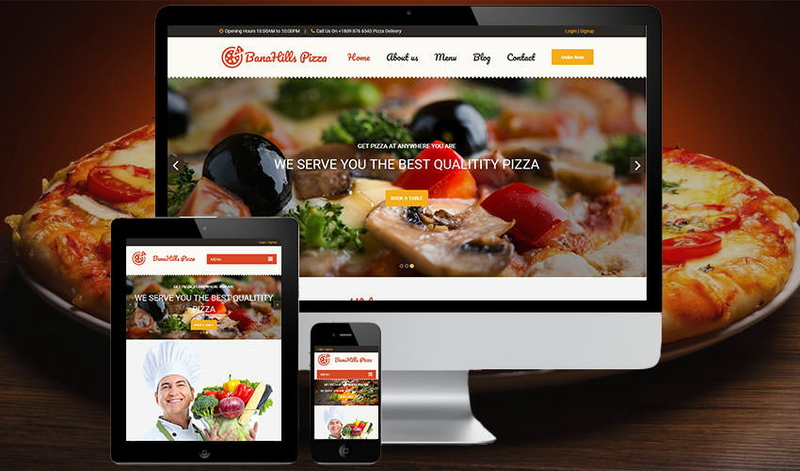 Blog page (Some information related to products and pizza restaurants, famous chefs of the restaurant). Blog Detail page (Detailed article about the restaurant news, customer feedback, the related articles). Contact page (Restaurant address, contact information, date of work, google map). Login/Register page (Create an account, register on the website to receive these incentives as well as the announcement of the restaurant when there are events). Cart page (Order information including the product name, size, quantity, price, restaurant reservations). 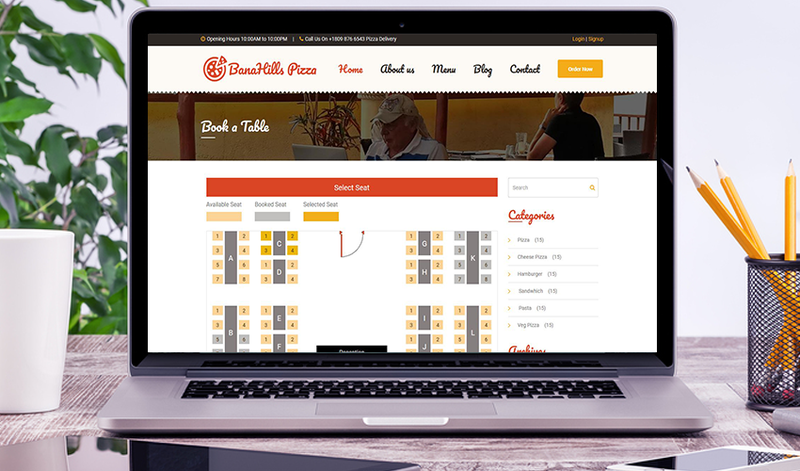 Book a Table page (Displaying seating map and allows booking seats. ).